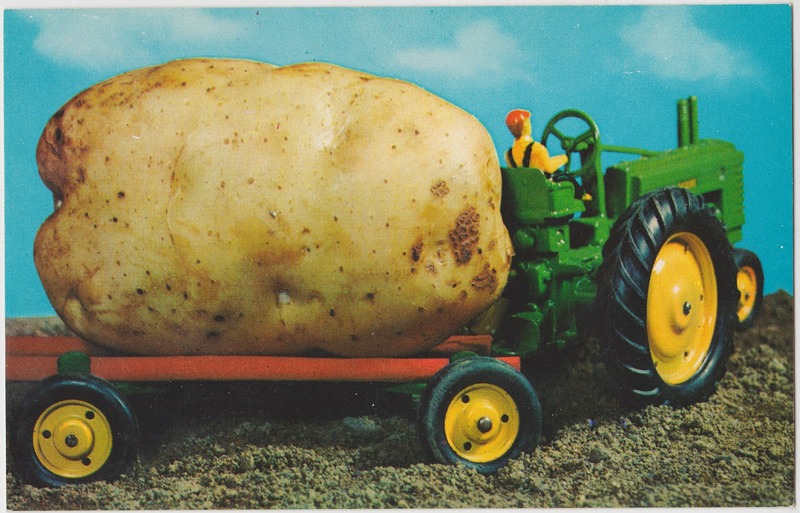 This undated Plastichrome1 postcard shows a potato sitting on the back of a John Deere-like toy tractor. The caption on the back states: "HOW WE GROW 'EM OUT HERE." This is a silly exaggeration, of course. It appears that the world record for the heaviest/largest potato is actually held by Lebanese farmer Khalil Semhat, who unearthed a 24.9-pound spud in 2008. Huge, of course. But nothing you'd need a tractor to haul around. 1. Two other Plastichrome postcards from the Farmers Market in Los Angeles were featured on Papergreat last month. 2. 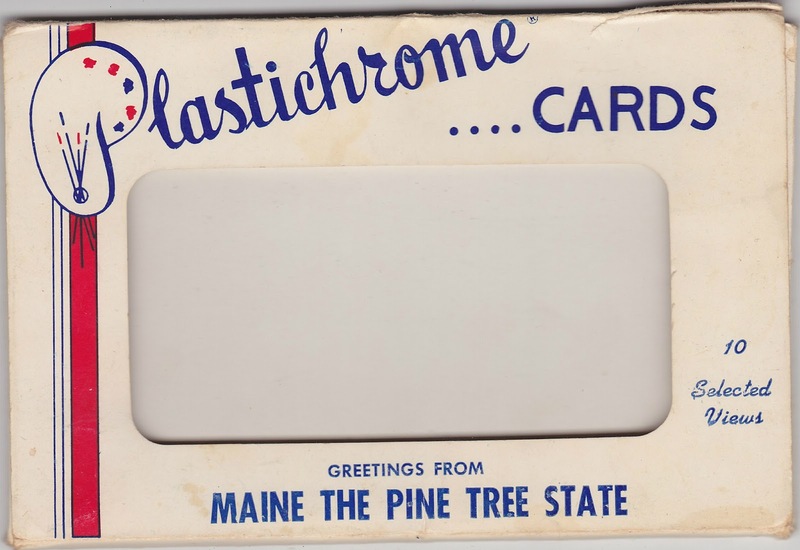 Sprawling Aroostook County is simply called "The County" in Maine. It has a total land area of about 6,800 square miles.